We are delighted to once again be sponsoring the Conference Awards. We've been strong supporters of these prestigious awards since the start, and been delighted to see them establish themselves as the pre-eminent awards scheme for the conference industry. 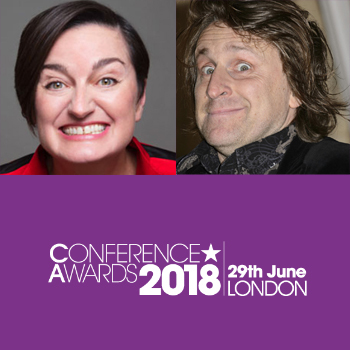 This year's ceremony will be held on Friday 29th June 2018 at the HAC, with Zoe Lyons and Milton Jones providing the entertainment and hosting, plus we have a few surprises in store! We will be out in force as well, so do come and say hello if you are there, and good luck to all of the nominees...we're rooting for you all!